James Walker, a graduate of the African Turf Academy in Pretoria, South Africa, has praised Jacobsen for its commitment to education and helping to launch his greenkeeping career. James graduated from the African Turf Academy, which is supported by Jacobsen and the R&A, in 2015. James enjoyed success at the Academy based at the Silver Lakes Golf Estate and won the Student of the Year award in 2015. 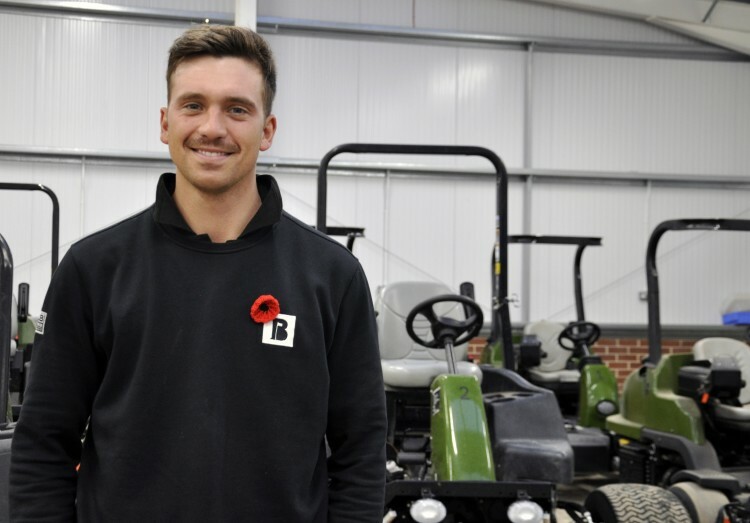 Three years on, and James is now the assistant greenkeeper at JCB Golf & Country Club, the brand-new 18-hole golf course based at the construction equipment manufacturer’s headquarters in Staffordshire. The golf course is supplied by Textron Golf, which includes equipment and vehicles from Jacobsen, E-Z-GO, Cushman and Textron Fleet Management. The African Turf Academy offers an International Greenkeeping Qualification, a two-year full-time programme of study running in conjunction with the Tour Player Development Programme. On completion of the course, students receive an internationally recognised National Certificate in Greenkeeping from Elmwood College in St. Andrews, Scotland.